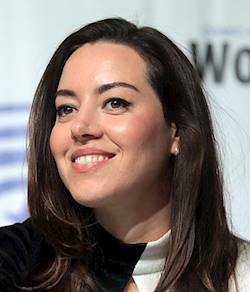 Aubrey Christina Plaza (born June 26, 1984)is an American actress, comedian and producer. She is known for her role as April Ludgate on the NBC sitcom Parks and Recreation. After appearing in supporting roles in several feature films, Plaza had her first leading role as Darius Britt in the 2012 film Safety Not Guaranteed. Since 2017, she has starred as Lenny Busker in the FX drama series Legion. Suggest social profiles (Facebook, Twitter, Instagram etc.) for and get paid for each suggestion. Login or Signup to add Social Links. Copyright © 2018. Box Office Gallery. All Rights Reserved.